THERE are two ways of representing and recommending true religion and virtue to the world; the one, by doctrine and precept; the other, by instance and example; both are abundantly used in the Holy Scriptures. Not only are the grounds, nature, design, and importance of religion clearly exhibited in the doctrines of Scripture — its exercise and practice plainly delineated, and abundantly enforced, in its commands and counsels — but there we have many excellent examples of religion, in its power and practice, set before us, in the histories both of the Old and New Testament. JESUS CHRIST, the great Prophet of God, when he came to be "the light of the world" -to teach and enforce true religion, in a greater degree than ever had been before — made use of both these methods. In his doctrine, he not only declared the mind and will of God — the nature and properties of that virtue which becomes creatures of our make and in our circumstances — more clearly and fully than ever it had been before; and more powerfully enforced it by what he declared of the obligations and inducements to holiness; but he also in his own practice gave a most perfect example of the virtue he taught. He exhibited to the world such an illustrious pattern of humility, divine love, discreet zeal, self-denial, obedience, patience, resignation, fortitude, meekness, forgiveness, compassion, benevolence, and universal holiness, as neither men nor angels ever saw before. God also in his providence has been wont to make use of both these methods to hold forth light to mankind, and inducements to their duty, in all ages. He has from time to time raised up eminent teachers, to exhibit and bear testimony to the truth by their doctrine, and to oppose the errors, darkness, and wickedness of the world; and he has also raised up some eminent persons who have set bright examples of that religion which is taught and prescribed in the word of God; whose examples have, in the course of divine providence, been set forth to public view. These have a great tendency both to engage the attention of men to the doctrines and rules taught, and also to confirm and enforce them; especially when these bright examples have been exhibited in the same persons who have been eminent teachers. Hereby the world has had opportunity to see a confirmation of the truth, efficacy, and amiableness of the religion taught, in the practice of the same persons who have most clearly and forcibly taught it; and above all, when these bright examples have been set by eminent teachers, in a variety of unusual circumstances of remarkable trial; and when God has withal remarkably distinguished them with wonderful success of their instructions and labors. 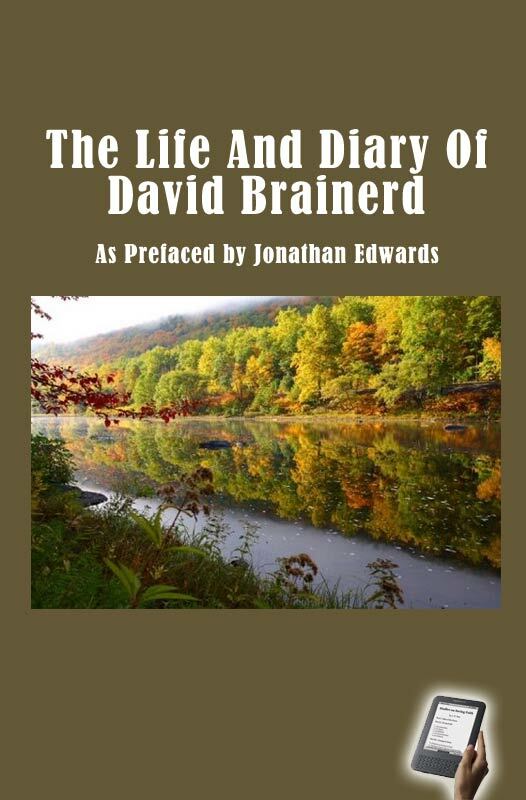 There is one thing in Mr. Brainerd, easily discernible by the following account of his life, which may be called an imperfection in him, which — though not properly an imperfection of a moral nature, yet — may possibly be made an objection against the extraordinary appearances of religion and devotion in him, by such as seek for objections against every thing that can be produced in favour of true vital religion; and that is, that he was, by his constitution and natural temper, so prone to melancholy and dejection of spirit. There are some who think that all serious strict religion is a melancholy thing, and that what is called Christian experience, is little else besides melancholy vapours disturbing the brain, and exciting enthusiastic imaginations. But that Mr. Brainerd's temper or constitution inclined him to despondency, is no just ground to suspect his extraordinary devotion to be only the fruit of a warm imagination. I doubt not but that all who have well observed mankind, will readily grant, that not all who by their natural constitution or temper are most disposed to dejection, are the most susceptive of lively and strong impressions on their imagination, or the most subject to those vehement affections, which are the fruits of such impressions. But they must well know, that many who are of a very gay and sanguine natural temper are vastly more so; and if their affections are turned into a religious channel, are much more exposed to enthusiasm, than many of the former. As to Mr. Brainerd in particular, notwithstanding his inclination to despondency, he was evidently one of those who usually are the furthest from a teeming imagination; being of a penetrating genius, of clear thought, of close reasoning, and a very exact judgment; as all know, who knew him. As he had a great insight into human nature, and was very discerning and judicious in general; so he excelled in his judgment and knowledge in divinity, but especially in things appertaining to inward experimental religion. He most accurately distinguished between real, solid piety, and enthusiasm; between those affections that are rational and scriptural — having their foundation in light and judgment — and those that are founded in whimsical conceits, strong impressions on the imagination, and vehement emotions of the animal spirits. He was exceedingly sensible of men's exposedness to these things; how much they had prevailed, and what multitudes had been deceived by them; of their pernicious consequences, and the fearful mischief they had done in the Christian world. He greatly abhorred such a religion, and was abundant in bearing testimony against it, living and dying; and was quick to discern when any thing of that nature arose, though in its first budding, and appearing under the most fair and plausible disguises. He had a talent for describing the various workings of this imaginary, enthusiastic religion — evincing its falseness and vanity, and demonstrating the great difference between this and true spiritual devotion — which I scarcely ever knew equaled in any person. But besides what may be argued from Mr. Brainerd's strength of judgment, it is apparent in fact, that he was not a person of a warm imagination. His inward experiences, whether in his convictions or his conversion, and his religious views and impressions through the course of his life, were not excited by strong and lively images formed in his imagination; nothing at all appears of it in his diary from beginning to end. He told me on his death-bed, that although once, when he was very young in years and experience, he was deceived into a high opinion of such things -looking on them as superior attainments in religion, beyond what he had ever arrived at — was ambitious of them, and earnestly sought them; yet he never could obtain them. He moreover declared, that he never in his life had a strong impression on his imagination, of any outward form, external glory, or any thing of that nature; which kind of impressions abound among enthusiastic people. 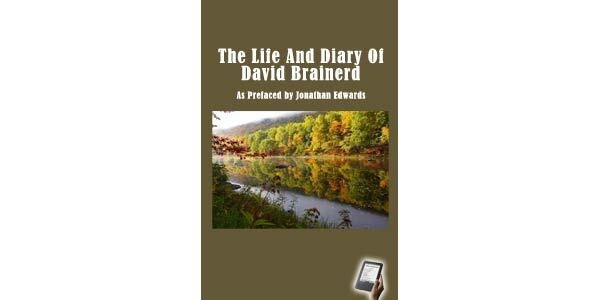 As Mr. Brainerd's religious impressions, views, and affections in their nature were vastly different from enthusiasm; so were their effects in him as contrary to it as possible. Nothing like enthusiasm puffs men up with a high conceit of their own wisdom, holiness, eminence, and sufficiency; and makes them so bold, forward, assuming, and arrogant. But the reader will see, that Mr. Brainerd's religion constantly disposed him to a most mean thought of himself, an abasing sense of his own exceeding sinfulness, deficiency, unprofitableness, and ignorance; looking on himself as worse than others; disposing him to universal benevolence and meekness; in honour to prefer others, and to treat all with kindness and respect. And when melancholy prevailed, and though the effects of it were very prejudicial to him, yet it had not the effects of enthusiasm; but operated by dark and discouraging thoughts of himself, as ignorant, wicked, and wholly unfit for the work of the ministry, or even to be seen among mankind. Indeed, at the time forementioned, when he had not learned well to distinguish between enthusiasm and solid religion, he joined, and kept company with, some who were tinged with no small degree of the former. For a season he partook with them in a degree of their dispositions and behaviors; though, as was observed before, he could not obtain those things wherein their enthusiasm itself consisted, and so could not become like them in that respect, however he erroneously desired and sought it. But certainly it is not at all to be wondered at, that a youth, a young convert, one who had his heart so swallowed up in religion, and who so earnestly desired his flourishing state — and who had so little opportunity for reading, observation, and experience — should for a while be dazzled and deceived with the glaring appearances of mistaken devotion and zeal; especially considering the extraordinary circumstances of that day. He told me on his death-bed, that while he was in these circumstances he was out of his element, and did violence to himself, while complying, in his conduct, with persons of a fierce and imprudent zeal, from his great veneration of some whom he looked upon as better than himself. So that it would be very unreasonable, that his error at that time should nevertheless be esteemed a just ground of prejudice against the whole of his religion, and his character in general; especially considering, how greatly his mind soon changed, and how exceedingly he afterwards lamented his error, and abhorred himself for his imprudent zeal and misconduct at that time, even to the breaking of his heart, and almost to the overbearing of his natural strength; and how much of a Christian spirit he showed, in condemning himself for that misconduct, as the reader will see. Another imperfection in Mr. Brainerd, which may be observed in the following account of his life, was his being excessive in his labors; not taking due care to proportion his fatigues to his strength. Indeed the case was very often such, by the seeming calls of Providence, as made it extremely difficult for him to avoid doing more than his strength would well admit of; yea, his circumstances and the business of his mission among the Indians were such, that great fatigues and hardships were altogether inevitable. However, he was finally convinced, that he had erred in this matter, and that he ought to have taken more thorough care, and been more resolute to withstand temptations to such degrees of labor as injured his health; and accordingly warned his brother, who succeeds him in his mission, to be careful to avoid this error. But notwithstanding all these imperfections, I am persuaded every pious and judicious reader will acknowledge, that what is here set before him is indeed a remarkable instance of true and eminent Christian piety in heart and practice — tending greatly to confirm the reality of vital religion, and the power of godliness — that it is most worthy of imitation, and many ways calculated to promote the spiritual benefit of the careful observer. But a few days before his death, he ordered some part of his diary to be destroyed, which renders the account of his life the less complete. And there are some parts of his diary here left out for brevity's sake, that would, I am sensible, have been a great advantage to the history, if they had been inserted; particularly the account of his wonderful successes among the Indians; which for substance is the same in his private diary with that which has already been made public, in the journal he kept by order of the society in Scotland, for their information. That account, I am of opinion, would be more entertaining and more profitable, if it were published as it is written in his diary, in connection with his secret religion and the inward exercises of his mind, and also with the preceding and following parts of the story of his life. But because that account has been published already, I have therefore omitted that part. However, this defect may in a great measure be made up to the reader, by the public journal. — But it is time to end this preface, that the reader may be no longer detained from the history itself.